Why Targeted Website Traffic Is Beneficial? Home > SEO > Why Targeted Website Traffic Is Beneficial? Internet business and E-commerce websites are always in need to get their targeted traffic. You know what, before search engine optimization techniques the online world could not deliver real targeted web audience. Without SEO, online businesses did not touch the success because of lots of useless visitors. None of them or a few amount of visitors were interested in their goods. But look today, Now SEO can provide real targeted traffic to their business websites who are really interested in their products. SEO tips to boost your online business. ► The necessary and importance of getting targeted web traffic is easy to know. Business owner who are selling a specific product only will need customers who are interested to buy that product or searching for that product. If your visitors are expecting something other that you are providing and they land your site then make sure your internet marketing is in very poor stage. It’s very good to get huge visitors but tell me how can you make money if they don’t make any purchase instead of browsing for a while? Example: You sell Samsung mobile phones only via online. A visitor comes to your site who is wishing to purchase laptop. What will happen? Of course he/ she will leave your site immediately without a thinking of any purchase. That’s why targeted traffic is very important. How to get targeted traffic from facebook? ► Around 40% people know about certain websites to go and buy or for something they need. If they need mobile software they will go directly in mobile websites. For news, they will browse newspaper websites. Sometimes people go directly in certain websites referred by friends or family, advertisements or forums. And other 60% visitors use search engines to find something they need. Here targeted traffic is matter. Proper SEO can lead your site on top position for your relevant keywords. This is very important because when a visitor finds a nice website that satisfies his mind and needs he/ she will be stay on your website to read or buy something. That visitor will bookmark your site or remember your website URL to stick with your blog or website. 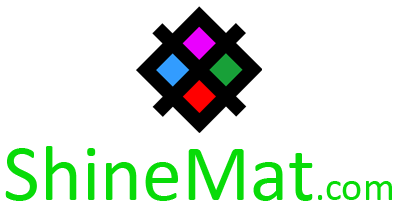 This will also increase your returning visitors’ rate. Tips to get targeted traffic to your blog/ website. Learn, how to optimize pictures for SEO? ► Bounce rate is related with targeted traffic. In short bounce rate means, a visitor land your website and leave your website instantly without surfing other pages of your website. I mean only one page view per one visitor. If you are not receiving targeted traffic your bounce rate will be increasing and that is really very bad for SEO. Targeted traffic will give you visitors who are really interested in your products or services and they will check various pages of your website or blog. Learn more details about bounce rate and 10 tips to reduce bounce rate. 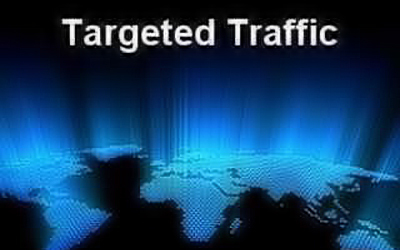 ► Targeted web traffic also helps to increase your pagerank status. Web traffic is considered targeted when visitors of your site check various pages and stay for long time. Non targeted viewers are worthless because they will come your website but expecting something else. For that reason they will leave your website and never share this. Remember, only targeted visitors will bookmark your site or share your site. This will increase your backlinks quantity and more backlinks means good pagerank. Share your opinion by using comment form below. Have fun pals.